For a limited time, book a qualifying Rocky Mountaineer holiday package of four nights or more through Rocky Mountain Holidays and receive a free rail seat upgrade on select dates in 2013. Space is limited and availability changes daily. For more information on this Rocky Mountaineer Deal – visit Rocky Mountain Holidays. Rocky Mountain Holidays™ have just posted the schedules and rates on their website for the Rocky Mountaineer train in 2014. 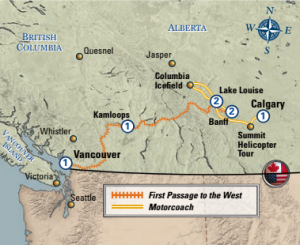 With the exciting Rocky Mountaineer Coastal Passage route in 2014, you will have the option of connecting with 2-day rail routes (Vancouver to Banff / Calgary or Jasper, via Kamloops) as well as the option of SilverLeaf service onboard. For the first debut departure this August 2013, the Coastal Passage route is only available in GoldLeaf service. In 2014, you will also have the option of disembarking the Rocky Mountaineer train in Lake Louise (instead of Banff). This option was introduced in 2013. 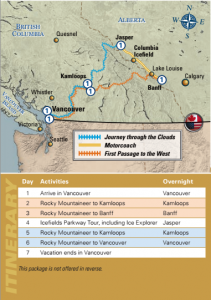 We are thrilled with the new 2014 Rocky Mountaineer train schedule which will connect Seattle (U.S.A.) to the Canadian Rockies (via Vancouver) for over 5 months in 2014 – a fabulous addition. Rocky Mountaineer packages in 2014 are now available to book by contacting Rocky Mountain Holidays. Rocky Mountain Holidays™ have just announced their latest deal offerings on Rocky Mountaineer Train® packages; applicable on select 3 night packages on select travel dates in April 2012 and May 2012. These savings amount to almost the equivalent of 20% and are subject to availability. These are exclusive Rocky Mountaineer deals. Book any qualifying six (6) or more night 2012 Rocky Mountaineer holiday through us and receive a FREE additional night in Vancouver, a FREE Vancouver sightseeing tour OR a dinner in the Canadian Rockies at your Banff, Jasper or Lake Louise hotel. Book any six (6) or more night 2012 Rocky Mountaineer GoldLeaf, SilverLeaf or RedLeaf package and receive a FREE additional night in Vancouver. Must be taken at the start or end of the package. Accommodation matches the accommodation grade of the package. Book any six (6) or more night 2012 Rocky Mountaineer GoldLeaf, SilverLeaf or RedLeaf package and receive a FREE dinner in the Canadian Rockies at your Banff, Jasper or Lake Louise hotel OR a Vancouver sightseeing city tour. Guests travelling in GoldLeaf service will have additional tour options. The dinner or sightseeing tour must be taken at the start, the end or during your package. This early-bird promotion offers peace of mind. Your holiday price will not increase after you book even if oil prices do. Any rail and cruise surcharges imposed between now and packages booked up to October 2013 will be absorbed by us. Get off to the right start when you arrive at Calgary Airport YYC. You will be met by a representative and transported to your Calgary hotel. 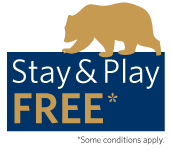 * Visit Rocky Mountain Holidays for details of these offers. Rocky Mountain Holidays now have all 2012 Rocky Mountaineer packages available for download. We are glad to see they have kept most of the packages the same with some of the popular packages having additional cruise ship departures added. 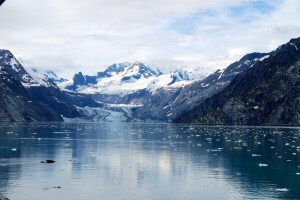 One new route we are excited about is the “Coastal Passage” route which connects Seattle and Vancouver with the Rocky Mountaineer Train. The Whistler Mountaineer will no longer have dome service available for 2012. The dome trains used on the Vancouver to Whistler route will now be used for the new SilverLeaf service in 2012 which was introduced this year. For your convenience, we have provided links to all of the packages below. Alternatively, you can visit Rocky Mountain Holidays direct for their Rocky Mountaineer package download page.